Opened 1984. Renovated in 2007. 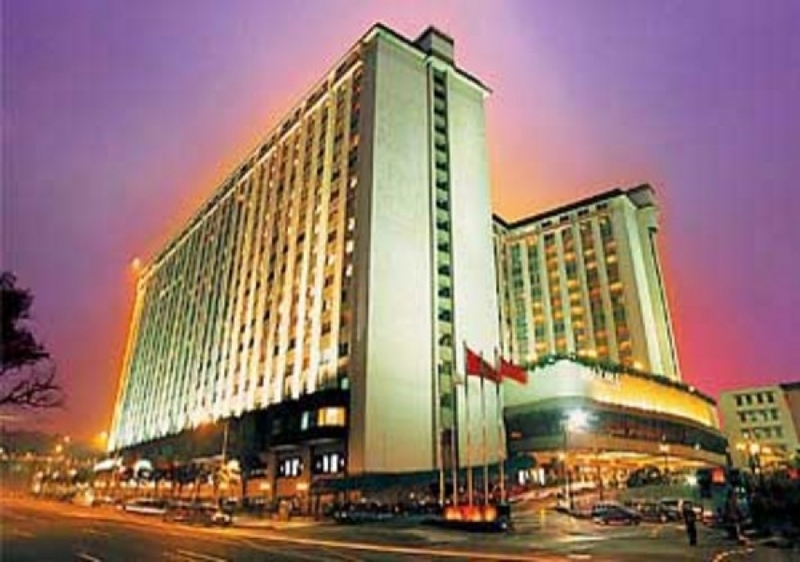 The China Hotel, A Marriott Hotel (Guangzhou Zhongguo Dajiudian) is a five-star hotel located in the city center across from the Guangzhou Jinhan Exhibition Center. With the Yuexiu Park Metro Station in front, guests enjoy easy access to the China Import and Export Fair Complex (Canton Fair).This Guangzhou hotel's elegant accommodations include renovated rooms featuring luxurious bedding, high-speed internet, air-purification systems, large work spacse and noise-reduction windows.Guests can stay fit at the 24-hour Health Club featuring cardio and weights, tennis, sauna and an outdoor pool.In terms of dining, guests can savor perfect steaks and International cuisine at Prime, or enjoy a martini or a favorite cocktail at Sapphire Lounge.Shopping is fun and easy with brand name boutiques nearby, but the hotel also has a post office and a beauty salon. When planning a conference or wedding, this Guangzhou luxury hotel's impeccable catering and attentive event planning makes events memorable.